Writer, painter and broadcaster, Bernard Venables was best known to millions of anglers through Mr Crabtree Goes Fishing (1949), initially a cartoon strip, and later one of the most popular fishing books ever written. Few people in history can have done more to encourage people to go fishing, and there are many anglers now who still remember Peter. He was born on 14th February, 1907, in Catford, a once rural area, although now part of London. In the years before the First World War his family moved to the edge of Romney Marsh, and it was here that Venables first discovered the magic of angling. After leaving school he worked for several newspapers, but it was when he drew his first cartoon strip for the Daily Mirror that he really made his mark. Although originally a gardening strip, it soon turned into a regular fishing feature, called Mr Crabtree Goes Fishing and was later published as a book. 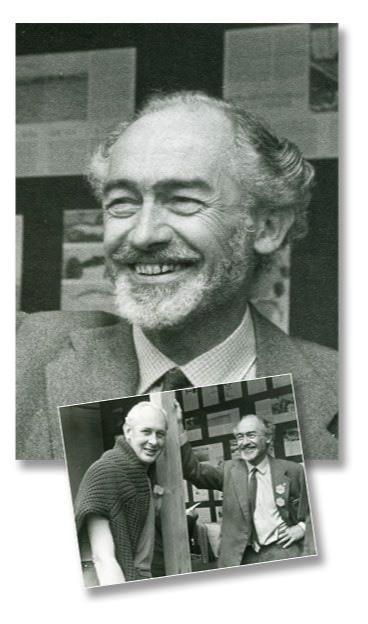 He went on to write for The Express and Sunday Express, before co-founding the Angling Times in 1953, the weekly fishing magazine that made EMAP one of the UK's biggest publishers. Then in 1963 he went on to become the editor of Creel magazine. In his later years he still wrote regularly, most notably for Waterlog. Venables was a committed environmentalist and fiercely promoted this through his work as a writer, in founding the Angling Times, Creel magazine and through his work with the ACA. He believed that merely to fish is not to be a fisherman - a fisherman requires a sensitivity to beauty and to the living world. He considered the intrinsic philosophy of angling to be a personal affair, developed and nurtured as the fisherman grows and matures. His writing style was eloquent and his description of the gentle art of angling was often an exercise in nostalgia, helping anglers to escape the grim realities of Post War Britain. However, not all of his books are discourses on the nature and philosophy of the fisherman and his art. He wrote a number of practical angling books such as Fishing and Freshwater Fishing. He was also a talented artist and his paintings and sculptures are still enjoyed and collected today. He illustrated Jack Hargreaves’ book Fishing for a Year, and his last and perhaps most cherished work was A Pleasure of Fishes - a book of beautiful and detailed watercolours of twenty-eight species of fish, accompanied by descriptions of each species’ habitat and characteristics. Venables remained passionate about angling from the age of six, when he caught his first fish, until April 2001 when he died, aged ninety-four. He caught the largest fish taken from northern-hemisphere waters, a 700kg six-gilled shark and his angling expeditions took him all over the world, from the Zambezi to the Azores. His autobiography A Stream of Life, published posthumously, reveals a rich and varied life with fishing and art always at its core.